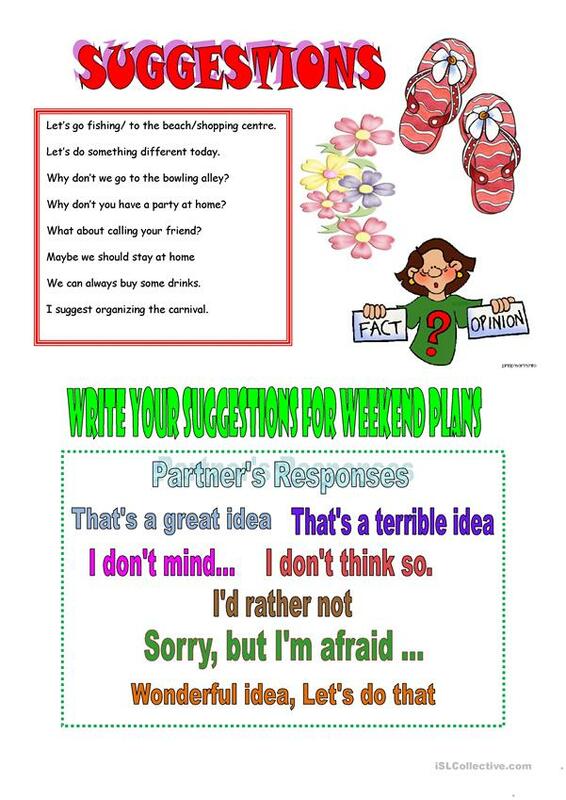 Students can use these examples of suggestions to do role play in class. This downloadable teaching material is intended for high school students at Pre-intermediate (A2) level. It was designed for improving your groups' Reading and Writing skills.